Dridex is Back with a Vengeance. Adding More Evasion Techniques to its Arsenal. 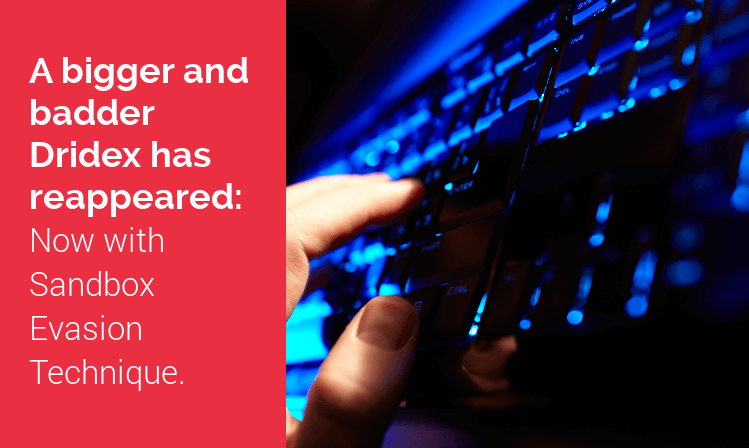 The disappearance of Angler has left a gaping hole in the malware market which cybercriminals are only to happy to fill with new variants of old standbys. The latest to reemerge after a period of disuse are Locky and Dridex. A new Locky campaign spotted in the wild on June 20 is analyzed by Pierluigi Paganini on the Security Affairs site. Now a bigger and badder Dridex has reappeared, with more sophisticated evasion tactics, including a new sandbox evasion technique. Testing the Logged-on username against the following strings: "KR3T","PSPUBWS". If username contains one of those strings the attack is aborted. The latest evasion technique is very interesting; it seems that the attackers tried to identify the popular https://www.hybrid-analysis.com/ vxStream Sandbox service, by going over their logs and looking for the username that is used when scanning documents. 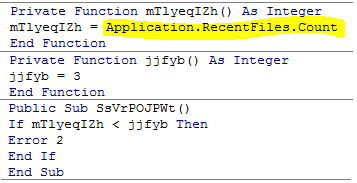 After validation that the user is a normal end-user and not a sandbox, it downloads the payload from the following site [hxxp://pawscoach.com/office.12] using the following PowerShell.